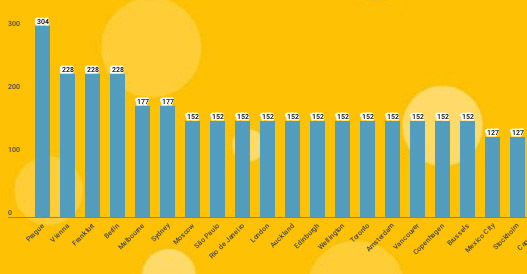 Research looking at data on beer consumption in 30 cities across 23 countries has found Melbourne and Sydney lead the world in dollars spent on beer, while faring a little better on quantity and proportion of income splurged. Emanating from the festivities of International Beer Day – the first Friday of every August – self-proclaimed peddlers of happiness Cuponation analysed data on pints of beer consumed per capita, average annual income, and the total spent on beer and how this relates to earnings. 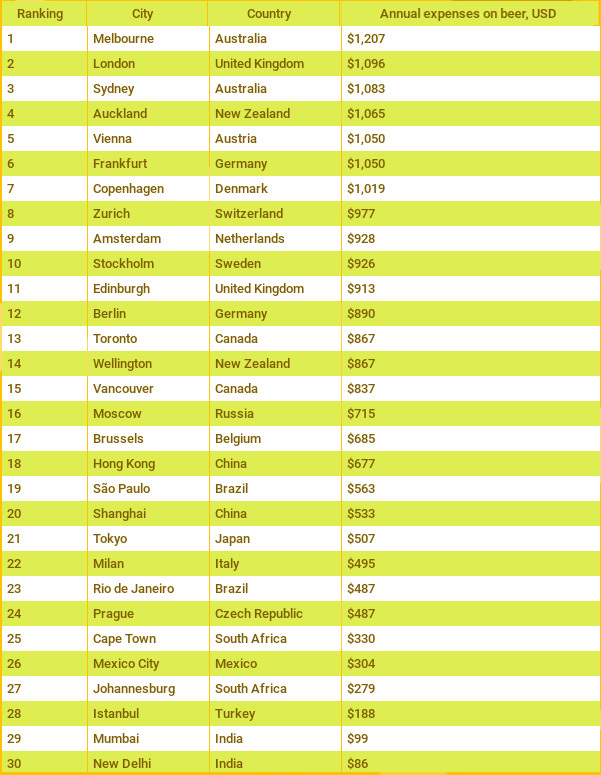 The Top 3 cities of all those assessed were Melbourne, London and Sydney (in that order), the average person handing over ($US) $1207, $1096 and $1083 (respectively) – closely followed by Sydney’s sister city across the ditch, Auckland, racking $1065. When considering overall consumption, the traditional homes of beer guzzling came into their own, with the first four places going to European cities – followed by Melbourne and Sydney. Prague was the clear winner, with the Czech Republicans downing 304 pints per person, but also enjoying the lowest price at just US$1.60 per. Citizens of Hong Kong balanced that with only 76 pints drunk each, costing a thirst-quenching US$8.90 each (AU$12.19). But for all Australia’s apparent prowess in the pints, the truly eager are something of a surprise, as Moscow looks beyond the vodka to share first place with São Paulo, Brazil outlaying an average of 10 per cent of personal income to the amber liquid.